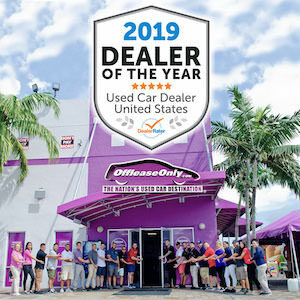 Off Lease Only named best used car dealer in Palm Beach County thanks to loyal customers casting their votes. Each year the Palm Beach Post asks for “Best Of” nominations to showcase exceptional local businesses. This was an exciting night for the entire Off Lease Only team at the annual gala. More than 400 attendees were anxious to find out if the company they represented would win their categories prestigious award. The Team at Off Lease Only were super excited to win this prestigious award! There were 13 main categories, and over 100 sub categories that included beauty & health, clothing, dining, entertainment & leisure, home services, finance, kids & education, people & places, services, shopping, spirits, sports and vehicle dealers & services. Off Lease Only’s staff was over the moon when they heard the dealerships name called up to the stage to take 1st place! “We have the most loyal customers!” exclaimed Chief Purchasing Officer Brian Kushner who was elated with the company winning this prestigious award. Customer satisfaction is the main goal at Off Lease Only. There really is no higher honor than winning awards that reflect the companies efforts. “Being named the best used car dealer in Palm Beach County is such an honor. 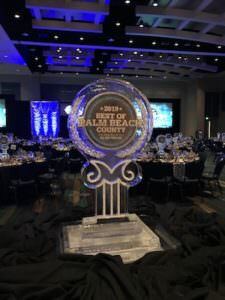 It truly is a reflection of our dedication to customer service and our amazing customers who felt compelled to nominate us,” said Monique Hausheer who has proudly represented Off Lease Only’s media efforts since 2002. 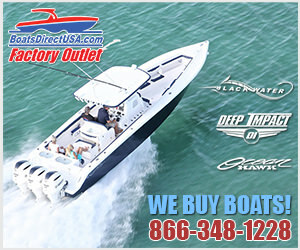 Off Lease Only has been Palm Beach Counties largest volume dealer for well over a decade. The company prides itself in selling used cars, trucks, suv’s and vans for prices thousands below retail, and an unmatched dedication to customer service. This has been an exciting year for Off Lease Only winning awards one after another. 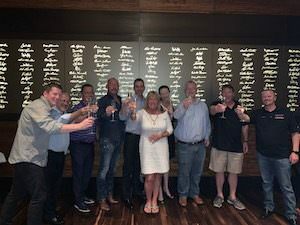 Just last month, DealerRater announced Off Lease Only winning Used Car Dealer of the Year for the entire United States beating out more than 36,000 dealerships across the country. That award was based 100% off customer reviews. Off Lease Only’s dedication to customer service is everything. They are A+ rated on the Better Business Bureau and an Edmunds Five Star Premier Dealer. If you’re in the market for a used car, truck, suv or van- go to THE BEST USED CAR DEALER and save thousands! 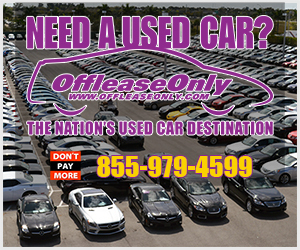 Simply start online at OffLeaseOnly.com or click the link below for driving directions! ← Previous Story Join the Off Lease Only Team at Cars & Coffee Palm Beach This Sunday!